Question of the Day: Japanese MPV or CX-9? AutoWeek gives a what-might-have-been report on Mazda's decision to bring the large CX-9 crossover to market over the redesigned MPV minivan. Mazda's senior veep for product development laid out the reason for the shift from minivan to crossover in very certain terms. Thanks to fewer incentives and higher transaction values, companies just make more damn money on crossovers. But what about the consumer? Thus, Jalopnik's question of the day. 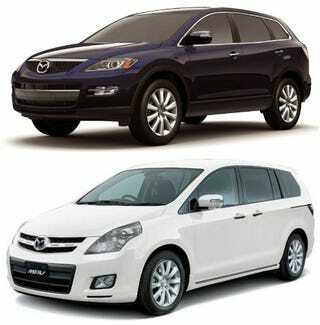 All factors being equal, would you rather drive a CX-9 or the new MPV, a Japanese domestic market model? Maybe even assume you care either way.